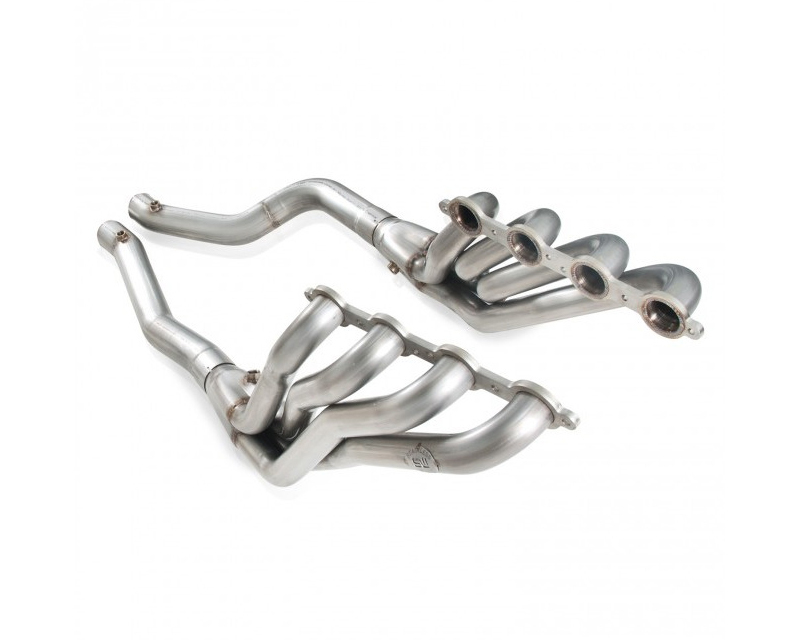 2009-15 Cadillac CTS-V Headers featuring 2-inch primaries with 3" Off-Road lead pipes. For use with Stainless Works Performance Connect CTS-V exhaust. California Restrictions: This product can be shipped to California for use on unlicensed, Race competition vehicles. Stainless Works is an industry-leader in stainless steel performance headers and exhaust systems. In addition to designing our wide range of after-market headers and exhausts, we manufacture them on-site, right here in the United States. We are constantly adding new products for a variety of new car and truck models as well as the classics. Our systems have proven performance increases through pre and post-dyno testing of vehicles.